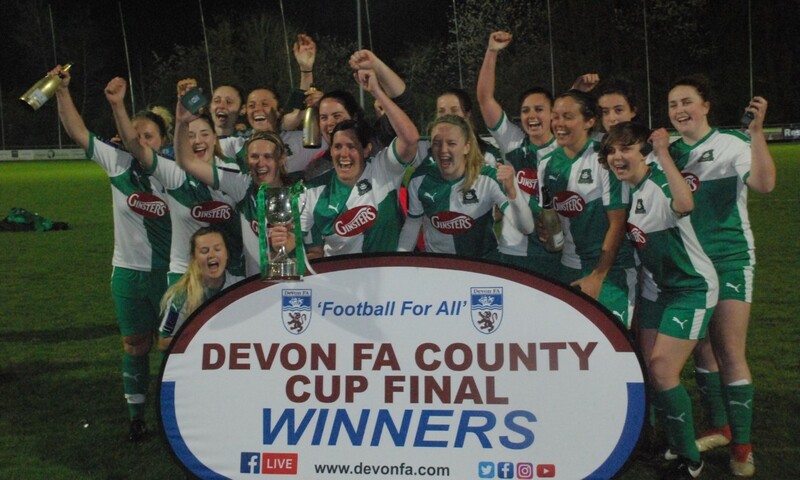 PLYMOUTH Argyle retained the Westward Developments Devon Women’s Senior Cup by beating Buckland Athletic 3-2 at Coach Road on Friday night. Argyle were imperious in the first half and took a 3-0 lead, which should have been more given their dominance. But in the second half, although still creating and missing numerous chances, they got caught out twice by conceding needless free-kicks which resulted in Buckland pulling two goals back. “Over 90 minutes you saw the best and the worst of us,” said Argyle joint manager Dave Leonard. “The first 45 minutes we were exhilarating, but the second 45 we were dour. “At the end of the day it was a bit of a lacklustre performance. It was a scruffy second half after a fantastic first. In front of a gate of 507, both teams took time to settle. Argyle had the first clear break when a Helen Bleazard cross was headed back across the goal but there were no takers. The higher league Pilgrims were starting to show the difference in class by winning the decisive midfield battles and spraying the passes around with ease. The goal they threatened did come on 10 minutes when Bleazard set up Kayley Lane, who shrugged off challenges before firing into the roof of the net. Not long later a great move between Zoe Cunningham, Jessica Jones and Bleazard ended with Natasha Knapman heading across the goal. Argyle were now dominating with Cunningham setting up Bleazard, who blazed over the crossbar. Lane and Knapman were then unfortunate not to be awarded penalties for crude challenges before the ball went to Jones, whose low shot was well saved by Abbie Bond in Buckland’s goal. Steph Beck then saw a goal-bound effort diverted on to the crossbar before Knapman was just wide with a shot. A second goal had to come and it did on 17 minutes when a great move involving Lane, Jones and Cunningham ended with Knapman appearing at the far post to make it 2-0. Another great move involving Lane, Cunningham, Jones and Bleazard ended with Leah Burridge firing over. It quickly became 3-0 as another terrific team move involved Cunningham, who picked out Bleazard and she found the predatory Knapman racing in to convert at the far post. Argyle were in total command with goalkeeper Sarah Prior a relative spectator. Knapman and Cunningham then went close before Bond tipped over a superb Beck drive. Argyle continued to press as the game reached half-time with Argyle leading 3-0. The Greens continued to search for goals in the second half with Knapman twice denied by last ditch tackles. But Argyle took their foot off the gas in the second period which meant more possession from Buckland, although Argyle’s back four of Burridge, Kate Middleton, Mollie Taylor and Faye Ivall were in control with goalkeeper Prior rarely brought into action. Knapman was then denied when heading against the crossbar with Bleazard’s follow up header going narrowly over. Despite having less of the ball the Pilgrims continued to press for another goal with Cunningham and player of the match Jones going close. Plymouth, though, then made a hash of a short corner which ended with Buckland scampering up the field to win a free-kick. Up stepped former Argyle midfielder Leah Brookes, who fired in a 71st minute free-kick just under the cross-bar. Argyle responded with Lane being denied by Bond. The Pilgrims looked as if they had settled for the win which saw Buckland come more into the game but without causing any real problems. 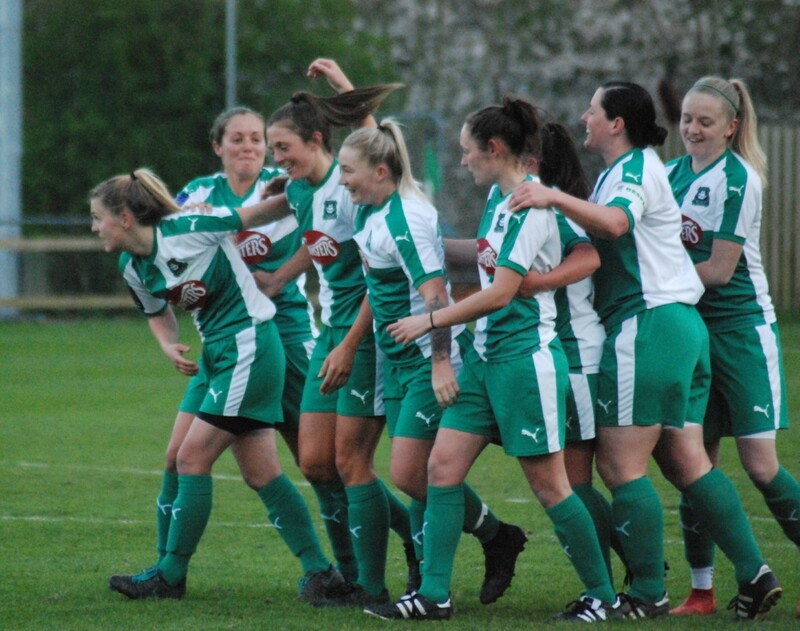 Plymouth had more chances but Buckland did not give up and, with only their second shot on target, they added their second when after another Brookes free-kick rebounded off the crossbar former Argyle striker Sarah Stacey pounced to score from what proved to be the last kick of the game.